You pick the date, we bring the fun! Our staff will lead engaging activities based on your child's choice! Then follow up the great activity with food, cake and presents. Parties at Greenknoll will have a party host to run your activity and help with your party. 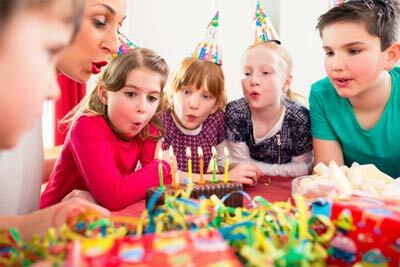 We will provide the gym, equipment, and the space for your child to share cake and presents. Children's birthday parties are available on Sunday afternoons from 1pm - 3pm. 1 hour Activity and full use of one side of gym. 30- 60 minutes Celebrate with use of classroom. Parents are responsible for providing setup and cleanup, decorations, bringing cake, drinks & food, plates, cups, napkins, candles & matches. Does your child have a favorite activity or sport? Well we can offer parties in several of them! Sports Galore ages 6+ and Gym Jamboree ages 3+. Our experiences staff will take the kids through warm-ups, and organized games. An assortment of sports such as Floor Hockey, Kick Ball, Soccer, Basketball, Dodgeball and more is offered during this party. 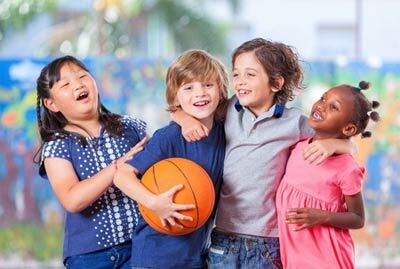 Let our staff organize age appropriate games for your friends in the gym, such as Red Light, Green Light, Red Rover, Obstacle Course, Relay Races, Tag, Parachute and more. Please reserve at least 3 weeks in advance. Things To Remember For Your Party! Please remind your guests to wear active wear for your party. Shorts, t-shirts and sweats are fine. SNEAKERS ARE A MUST! Gum chewing is prohibited in the gym. Absolutely NO alcoholic beverages are permitted in the building. Smoking is also prohibited on Y property. We ask that when in your party room you do not use any of our supplies or equipment designated for our child care programs. Please leave the room as clean and neat as you found it. THANK YOU!!! Must bring an I.D. when coming to the facility. Thank you in advance for adhering to these guidelines. We hope you enjoy your party at the Regional YMCA. 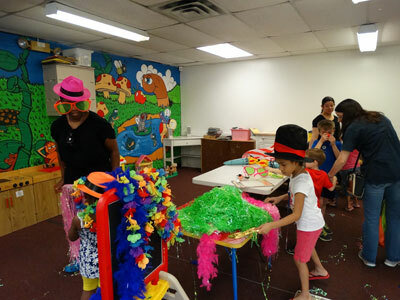 Art Birthday Parties include use of space and several arts and crafts projects to choose from such as painting, clay, crafts and more. Professional Visual Art instructors lead participants through an interactive art making activity inspired by the birthday child’s interests. 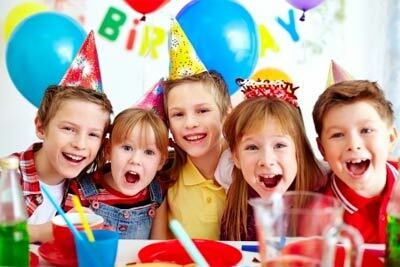 Children’s birthday parties are available on Friday evenings, Saturday or Sunday afternoons. 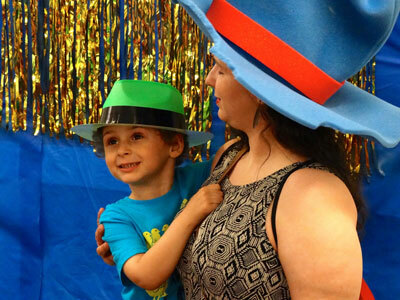 ESCAPE to the Arts provides all art supplies and the space for your child to share cake and presents. Story & Painting ages 4-6: Read together from a favorite book, and then create a painting related to the story. Story & Craft ages 4-6: Read together from a favorite book, and then create a craft related to the story. Crafty Kids ages 6-9: Decorate something fun and functional that you can take home that day. Choose masks, painter’s caps or mini totes. Clay ages 7-12: Create a piece with air-dry clay. Choose nameplates, animals, faces or cups. Painting ages 7-12: Paint your own masterpiece with Acrylics or Watercolors. Choose your own theme for the group to paint by. Cartooning ages 7-12: Learn the basics of cartooning. Guests receive their own instructional packets to take home with them when done.